Criss Angel – Man Whore – Is he Dating Paris? 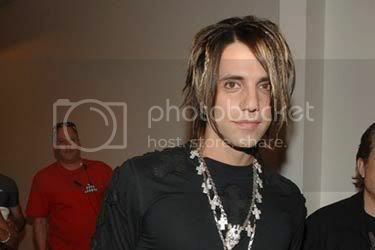 How do you spell ugly………Criss Angel Denies Dating Paris.? Illusionist Criss Angel has hit out at claims he’s dating Paris Hilton, insisting the recent “lies” about his relationship with Cameron Diaz prove the press can’t be trusted.? However,? Angel’s wife Joanne Sarantakos blamed Diaz for the breakdown of her marriage in legal papers filed at Nassau County Court, New York on 29 June?2007 – claims both Angel and Diaz vehemently deny.? He’s since been linked to hotel heiress Hilton – he surely gets around town.? Going from Diaz to Hilton was really going from bad to worse! HEATHER MILLS CAN’T GET HER STORY RIGHT! Nicollette Sheridan (10/23/06): STOP TRYING TO BE YOUNG! Lindsay Going Crazy or Just Mad She Is Always followed?